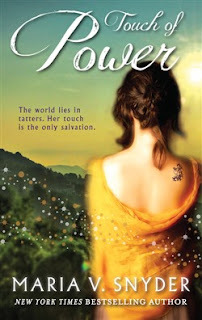 Shiirleyy's Bookshelf: Giveaway: Touch of Power by Maria V. Snyder! Sound exciting? Read on for the details! - Open to Australian/New Zealand residents only. [+2] - Like the HarlequinTEEN Australia Facebook Page. Ready to Enter? Fill out this FORM! I've been following TOUCH OF POWER around cyber space. I can't wait to read it. I know it will be amazing.